In my workflow, I have new solutions to quickly transfer photos from iOS to OS X or avoid my Mac entirely, but there are still times when I need/want to leave iPhoto running and drag photos out of it and into the Finder or another app. MyPhotostream is a lightweight Photo Stream client that runs on your Mac and provides read-only access to your personal Photo Stream (not the shared ones). MyPhotostream finds the directory where Photo Stream stores its data and presents all your synced photos in reverse chronological order. While you could build a smart folder or Hazel filter to achieve the same functionality of MyPhotostream, the app takes a lot of pressure off needing to deal with Finder subfolders and sorting criteria because it just works. After I downloaded the app, I waited for an initial database refresh and after a few seconds MyPhotostream showed all my Photo Stream photos in a small window free of iPhoto’s clunkiness. 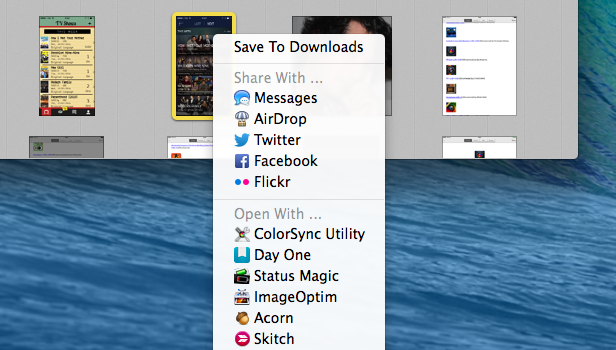 The window shows thumbnails that can be quick-looked, and it can be resized or put into full-screen mode. With a right-click, photos can be shared with system services like Twitter and Flickr, opened with other apps, or saved to your Downloads folder. Alas, I wasn’t able to pick photos and drag them into the Finder or other apps like I can with iPhoto, which seems like a limitation that could be fixed in an update. If you don’t like iPhoto but want to see incoming photos in Photo Stream, MyPhotostream is a simple and fast alternative viewer. It’s read-only and it comes with other limitations that the developer has detailed on his website, and it could use support for drag & drop for better integration with OS X. There are other nice details, such as the fact that the app refreshes when it’s already open if new photos are available, displaying a notification. 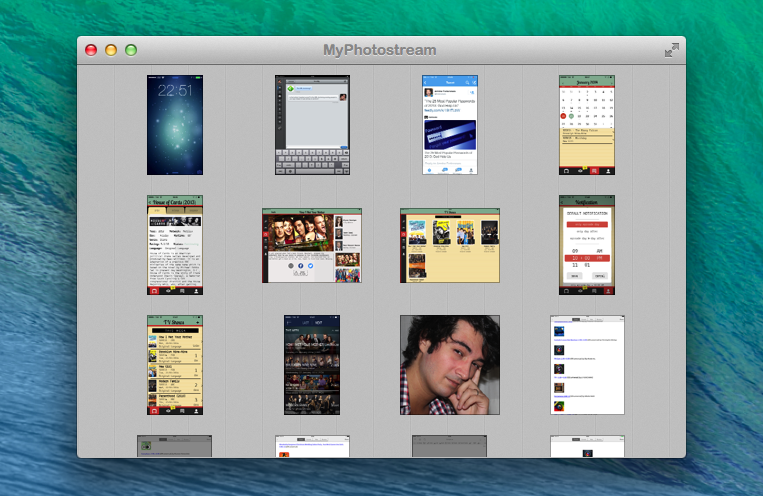 If you’ve been looking for a simpler Photo Stream viewer, MyPhotostream works well and it’s got a 7-day free trial. To unlock the full version, a single license is $3.99.